If you are a fan of horse racing, then it is quite likely that you will find the next few paragraphs informative and interesting. There are millions of horse-racing enthusiasts across the country and across the world that throng to scores of horse races which are held regularly. While many take part in such races for the fun of it, there are others who take part because they are keen on winning some money out of it. Hence, there is no denying the fact, that betting on horse races is a huge business and it could run into millions of dollars of perhaps a billion dollar and more. Each year in the country there are scores of such races events that are held. However, there are a few racing events that are better than the other. 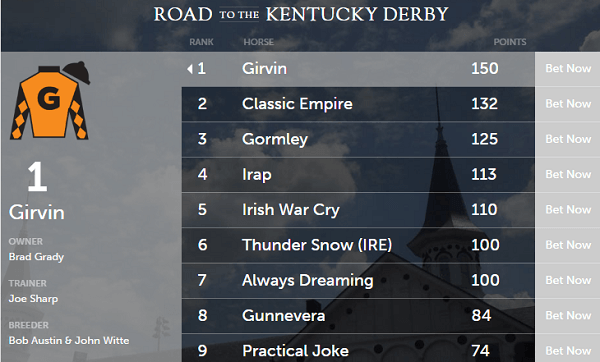 A few such Derby races which come to the mind are Kentucky and Epsom. They attract some of the best horses and jockeys from across the world, and of course, some of best colts from the country also take part. Hence, it would be interesting to find out more about the tips and suggestions as far as these two events. Slated to be held on June 3, 2017, there is no doubt that this is one of the most widely followed and keenly anticipated Derby horse race events not only in the country but also across many thousands of followers across the world. It is a Group 1 Flat Race held in England. It is open to three-year-old thoroughbred fillies and colts. The race happens at the Epsom Downs Racecourse. It is situated in Surrey, and the total distance of the race is more than a mile, four furlongs and 10 years. In other words, the total length of the race would be around 2423 meters. It is held on the first Saturday of June each year. It is the richest horse race in Britain, and therefore it attracts a lot of attention. There is no doubt that it is one of the most important sporting events as far as Great Britain is concerned. It attracts a lot of worldwide attention and is covered live on TV and reaches millions of audiences across the world. The first race took place way back in 1779 and therefore it has a very rich history and track record. This is another popular and much sought after Derby horse race that is held in Kentucky. It is held on the first Saturday of May each year and therefore May 6, 2017, is a day of reckoning for many horse racing fans. This is again a Grade 1 race and is open to three-year-old thoroughbreds and the overall distance covered will be one and a quarter miles. It is often referred to as the most exciting two minutes in any sports activity, and therefore it is watched by thousands of countrymen and is open to millions of horse racing enthusiasts across the world. The first complete race covering the above distance happened in 1896, and, therefore, this also is a highly respected and old race which catches the attention of millions of horse racing fans across the world. There are a few important points to be kept in mind as far as this Epsom Derby is concerned. The race usually takes place around 4 PM in the afternoon. Since it is held during the summer season, there are chances of the track becoming dry provided there is no rain the previous day, or even in the morning on the day the race is scheduled to be held. It should also be kept in mind that like all important races in this race, the draw has a very important role to play. The number of horses around your favorite horse, the lane in which your favorite horse is placed is all important points to be kept in mind when it comes to placing bets on this majestic and great racing event. There are many big names of horses which will be a part of this horse race. Therefore, this is also a point that needs to be considered. Here are a few names of horses which should be kept in mind while placing the bets. However, this would depend on the draw and subject to the named horses taking part in the Derby. Algometer is a horse to look out for, though it may be suited better for other turfs. Across the Stars is another name to be followed closely. It has so far run in seven events and has stood 1st, 2nd and 3rd on 2 occasions each, and this certainly is a great track record. There are obviously a few famous horses which will be a part of the famed Kentucky Derby and, therefore, May 6 will be a day to watch out. Amongst the many names Creator is a horse which is considered to be one of the strongest contenders should it take part. He is in majestic form, and if he can maintain the same form, he certainly will have a great chance of walking away with the winning position. Additionally, there are also other names such as Mohamed and Brody’s Cause which could also pose a lot of challenges to Creator and many other such names. However, the draw is still not yet out, and it would depend on the lines on which the horses are going to be placed and the horses that will take part. The quality of jockeys and trainers will also have a big role to play when it comes to identifying the winners and placeholders. Having a close look at the odds offered by various bookmakers is also something which must be kept in mind. Hence, there are quite a few things that must be put in perspective when it comes to the above two Derby horse races at Epson and Kentucky.